I just do not have enough subjects to match up with photos. Or is it that I can’t take photos of the subjects that are on my mind? One or the other or both. For instance: I keep thinking I should do a blog about traffic, headlight use and turn signals. But how do I take a photo of traffic without violating some safety law myself? Today was one of those days when I had a good blog going in my head as I drove to work. It was also one of those dark, dreary, wet days when photographic opportunities just don’t jump out there and engage me. I didn’t take a photo until I got home and then it’s a rather mundane one of a pill box. What can I write about pill boxes (except that I like them and if I can pick them up for $0.50 or less at a yard sale, they’re mine). I have resolved to not to the 365 Photo thing next year. It’s too difficult: the photos end up being random and the subjects stray from when is really at the heart of my life (no, not traffic: that’s just a daily occurring headache). But since I have made the commitment to do the photos and I am 2/3’s of the way through my year of photos, I am going to complete what I started. The top of this pill box is plaster or porcelain. The chips are because of me: I’ve carried it around in my purse and its banged against keys and pens and other pill boxes. I finally quit carrying it around because of airport security (funny how little metal pill boxes will set off the alarms). 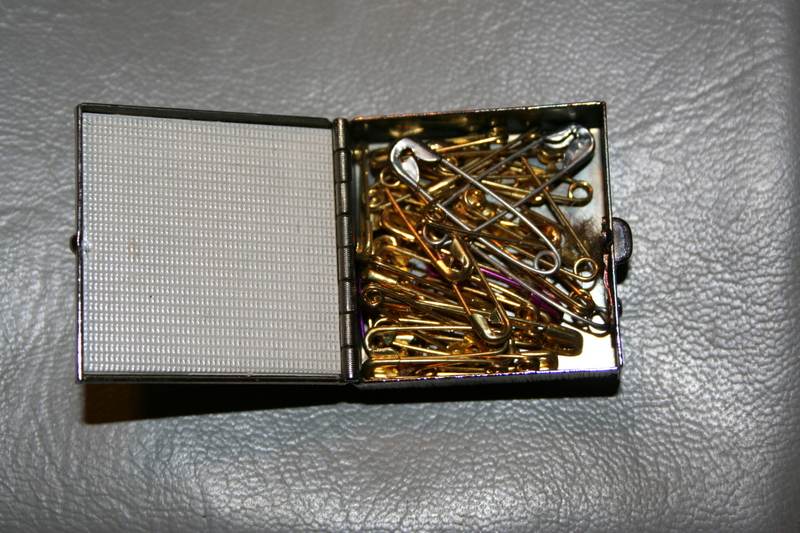 I carry safety pins in it. A woman never knows when she might need a safety pin. 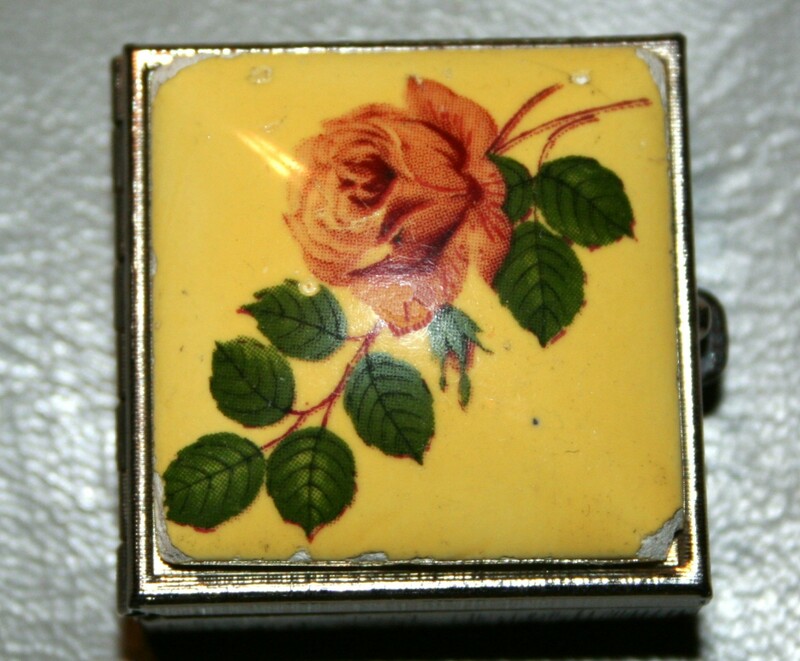 There is something soothing in that little red rose painted atop chipped porcelain. I can almost let go of the traffic now.